2 Department of Biological Sciences and Bioengineering, Indian Institute of Technology, Kanpur 208016, India. 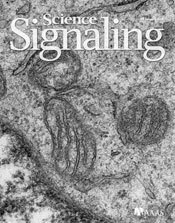 A. K. Shukla, Biasing GPCR Signaling from Inside. Sci. Signal. 7, pe3 (2014).